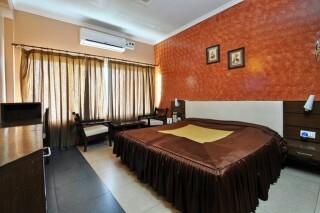 This is an offering of a private room in a boutique stay, which can accommodate up to three guests. This boutique stay is ideal for couples and small groups. Ample parking space is available for those bearing a vehicle. Your Space The spacious bedroom on offer flaunts a textured accent wall, which adds delight to the space. 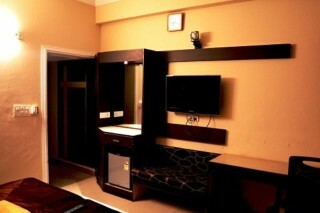 It is furnished with a plush bed, a study desk, a flat-screen television for entertainment while indoors, and a mini-fridge. A chic coffee seating is appointed for added comfort. 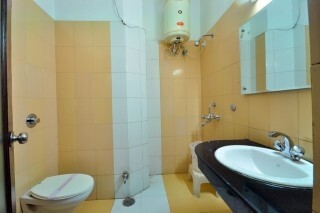 The bathroom is fitted with contemporary sanitary ware. 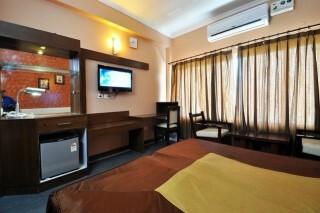 It is located at Raipur road and it is proximate to the places like Jama Masjid Doon (Approx. 2km) and Robber's Cave (Approx. 7km). Popularly known as Guchu Pani, Robber's cave is famous for a strange phenomenon, wherein a stream of water suddenly disappears from the sight and appears again after few metres. It is said that robbers used to hide themselves from British.Tibetan Buddhist temple, Ram Rai Gurudwara and Mindrolling Monastery are hotspots located in the city.